…the mice will break things. Steve has left me in charge of the farm while he is on vacation in South Africa for three weeks. 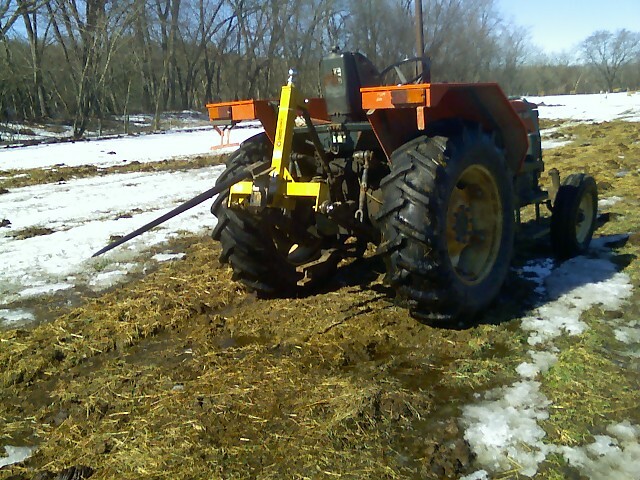 It has only been 3 days, and I have alrerady broken the spear on the back of the tractor (the spear is for carrying large bales of hay). It will come as no surprise to Steve. While training for my farming solo, I broke just about everything I touched. I can’t remember how many times Steve said “never mind, I’ll fix that before I go.” But not to worry! Every time I broke something, we revised the plan from the way Steve does things to a system that Steve calls “idiot-proof (no offense).” I’m sure the system really is idiot-proof. I’m just worried that my clumsiness goes way beyond any idiot Steve has met before. You don’t need to worry about the cows. They’re fed. They’re watered. They’re happy. We have another tractor. We have another spear. That should last at least another 3 days.